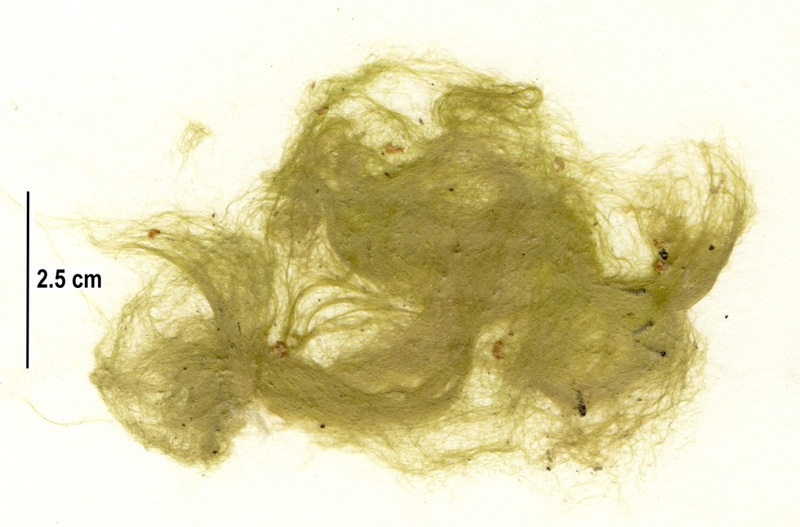 Specimen collection numbers SCL 15366, SCL 15298, and SCL 15387 in the UBC Herbarium Algae Database. Search the collection numbers in the database for more information on these specimens, or search the species for further occurrences. Images courtesy of Sandra Lindstrom. 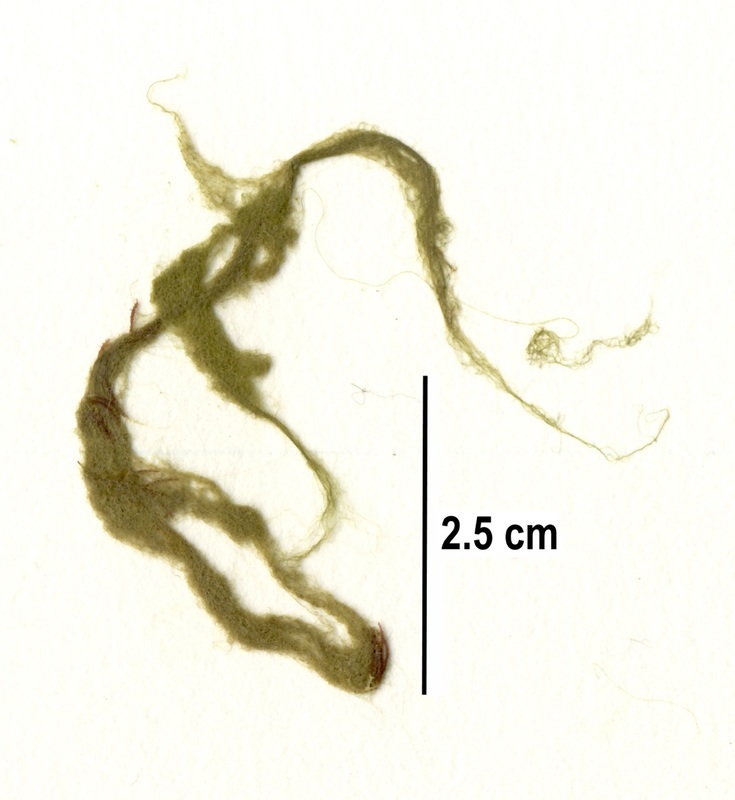 This green alga is composed of thin, unbranched filaments that typically form dense, tangled mats. 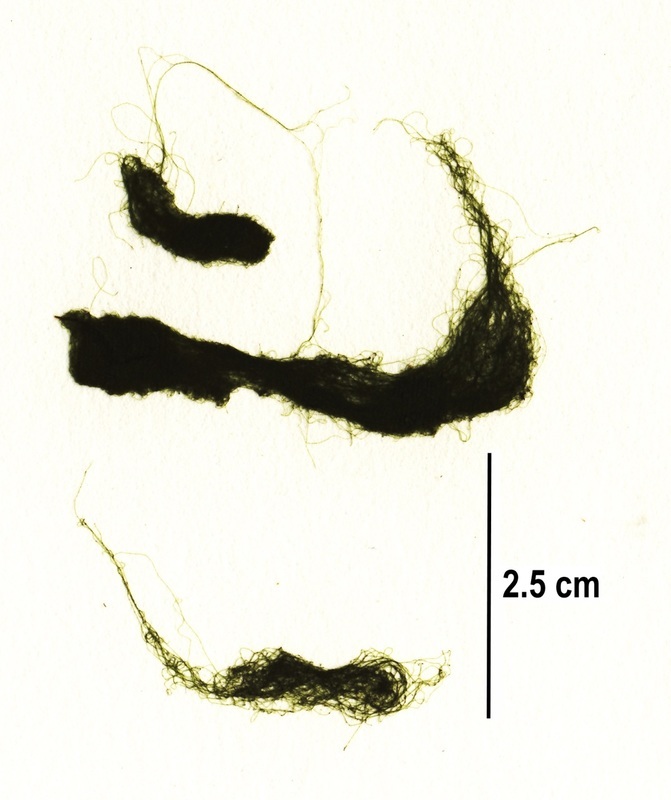 In the northeast Pacific, eight species of Chaetomorpha have been described, however microscopic investigation into the cell size is required to identify to the species level. ​This species can be found from Alaska to Northern Washington. The above specimens were found on 5th Beach on Calvert Island in the high intertidal (left photo), on 5th Beach growing epiphytically (middle photo), and on a muddy substrate on Calvert Island in the cove in front of the Hakai Institute. Lindberg, M. and Lindstrom, S. (2010). Chaetomoropha cannabina. Seaweeds of Alaska. Accessed 2016-02-26. Lindberg, M. and Lindstrom, S. (2010). Chaetomoropha sp. Seaweeds of Alaska. Accessed 2016-02-26.